MLB had their Opening Day last Thursday. For the top-tier of British baseball, that day will come this Sunday at Farnham Park (as always in Britain, weather permitting). The London Mets and Southampton Mustangs have been the class acts of the National Baseball League over the past few years, maintaining a stranglehold on the National Baseball Championship final for the past three seasons. The Mets won the final in 2017 to take their team tally to four and to equal the highest number of national championships won by a team in British baseball history. In 2018 they will attempt to become the all-time leaders with five national championships and you would have to rank them as the favourites to win the title again this year and to complete that historic achievement. The Mustangs will be intent on scuppering that story and will have their first chance to put a marker down on Opening Day when they face the Mets in a double-header at Farnham Park near Slough. First pitch for the opener is set for 11.30. Mister-Baseball broke the news back in January that Maikel Azcuy, the modern era home run career record holder in British Baseball, will be leaving the National Baseball League in 2018 and joining the Berlin Flamingos in the German Baseball-Bundesliga. Azcuy has played in 12 seasons in the NBL, starting with the Croydon Pirates before enjoying success with the Southern/Harlow Nationals, Essex Arrows, Herts Falcons and latterly with the Southampton Mustangs. Stats from his NBL career can be found on the Project COBB website. “With the change to the Berlin Flamingos I say the 1st League in the UK after 12 years, Good bye ‘. I am very excited and would like to support the flamingos in their great success story. They are the only club in eastern Germany playing in the first Bundesliga, and are currently building something great in the German capital. I have been training with the team for a few weeks and have been able to get a very good impression of the players and the club management. The boys are all highly motivated and full of energy. I would like to support the flamingos with all my know-how in order to master the league season goal preservation in the 1. Bundesliga. Baseball always happens to me at the highest level – preferably every day. It’s an honor to give the flamingos 100 percent for our common goal, “said Maikel Azcuy. The Flamingos came through the play-offs in 2017 to earn promotion to the Bundesliga 1 and clearly the hope is that Maikel and other new recruits can work with the existing players to retain their place in the top-tier of German league baseball. It looks like a wonderful opportunity for Azcuy and whilst it’s always a shame to see good players leave the NBL, at the same time it’s great to see British players furthering their baseball careers in other European leagues. The Flamingos will have a few more British fans following their progress in 2018. Since the turn of the millenium the top-tier of British baseball has had a strong southern England flavour. Following Menwith Hill capturing three titles in four years between 1995 and 1998, all of the national champions have come from greater London, Essex and the south coast. A Midlands threat to that dominance has now arrived in the form of the Birmingham Bandits. They last competed in the top-tier back in 1998 and having dominated at Double-A last year (a 22-0 regular season) their application to join the NBL was accepted by the BBF over the off-season. 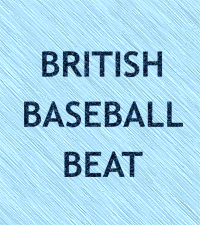 The BBF news article about the move highlighted the importance of getting top-tier baseball into the UK’s second largest city and the hopes of widening the reach and appeal of the NBL. It will be something of a leap for Birmingham this year, but their successes of recent seasons show that there is a lot of potential at the club and hopefully they will be able to grow even more over the next few years in attracting more players and onlookers. The club will also be fielding the Birmingham Outlaws in Single-A this year to give newcomers and less-experienced players that chance to develop their baseball skills. London Mets, Southampton Mustangs and Birmingham will be joined by hold-overs the Essex Arrows, Herts Falcons and London Capitals for a six-team top-tier this year. The Arrows have started the year off in a positive way by winning the NBL division of the Herts Spring League. Last year’s wooden spoon winners the Brighton Jets will take that team name to Single-A for 2018, with the club also fielding the Brighton Brewers in Double-A. There will be 48 teams competing across four levels of play in the BBF leagues this year. Among them, three teams will be making the step up from Single-A to Double-A. Norwich Iceni had the perfect debut BBF season last year in going unbeaten and capturing the Single-A title at their first attempt. They’ll be looking for back-to-back titles as they move up to Double-A South, being joined there by Bracknell Inferno. Cambridge will also take a team up to Double-A, with the Monarchs going to AA-Central and the Royals staying in Single-A. The Monarchs will be joined in the AA-Central by Bristol Badgers who are returning to the BBF fold having won the South West Baseball League title last year. Bristol will maintain a presence in the SWBL with their Bristol Bats team. On the independent scene, the SWBL will welcome the Weston Jets to their league for the first time this year. Their league will get going on 22 April. The independent Northern League will consist of 13 teams this year, including the newly-merged Robots of Doom outfit that brings together the former Bolton team and Halton Jaguars. Their season gets underway this Sunday with five double-headers. The Liverpool Trojans were the odd team out on the original fixture list and the games between Torrent and Bruins have had to be postponed due to the condition of the former’s field following recent weather. They’re not hanging around in Scotland though as their league began last Sunday with an Edinburgh clash between the Giants and Diamond Devils. On a non-Twins note, we have a first pitch of the new @Scots_Baseball season. The Oilers in Aberdeen lodged an early contender for photo of the season with this view of their field.